Of course everyone's favorite part of being in the US is hanging out with people we love! One of the major disadvantages of our trip this year as opposed to the trip last year was that we hung out with a lot fewer people (partly because the trip was shorter and partly because we tried to be less busy). But we did enjoy the time we got to spend with people! We tried to do a lot more "normal" things this time too, like just attending regular events we would've gone to when we lived there, and that was REALLY nice. It almost made us feel like we hadn't left. Because our time was shorter, we also had more large events that allowed us to spend time with more people at once. Of course, the downside of those is that you spend less time with individual people, but we did really enjoy getting to see more people that way. 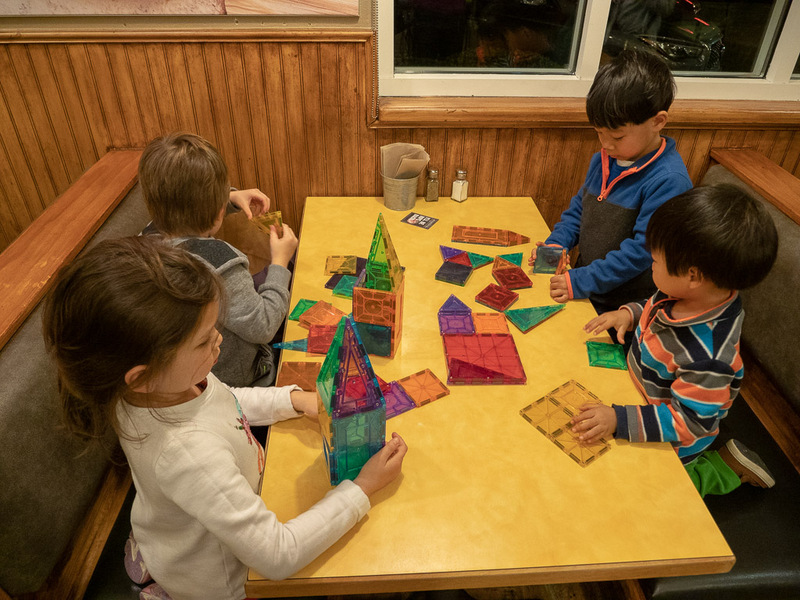 The above picture is the kids and their friends playing with Magnatiles at a restaurant while the parents all hung out. It was a surprisingly effective way to entertain them! 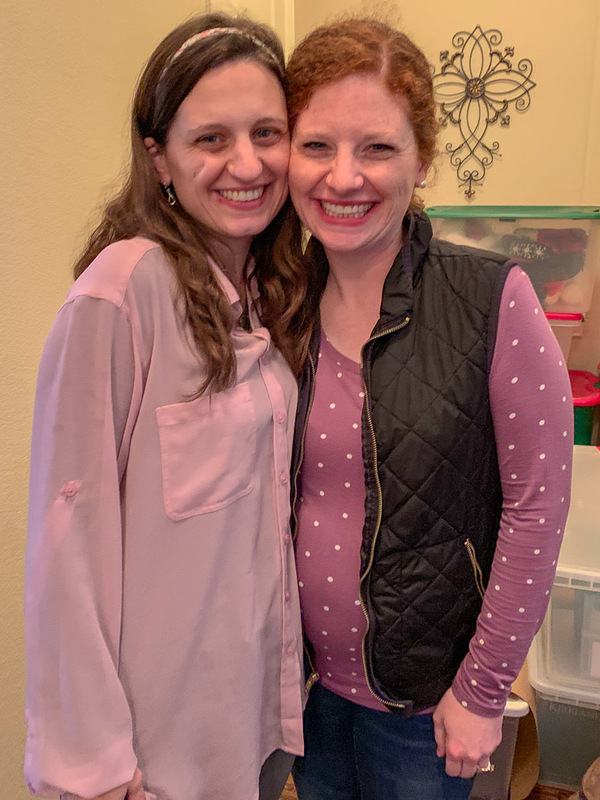 We also had more intentional time with my family instead of scattered, short, last-minute things and we liked that too. Although it wasn's as spontaneous as it was last year, we felt like we really got good quality time with them. 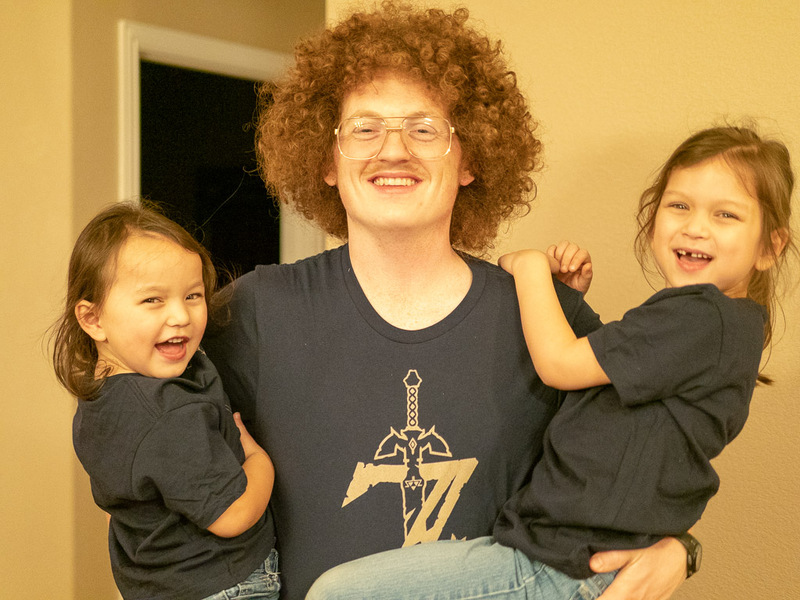 Uncle D also bought each of the girls Zelda shirts that they could match him in! What a good uncle. So, we definitely had a wonderful time seeing people this year! Having been back only a year before made it seem like we hadn't missed that much, and it is always good to see the girls continuing to build on old relationships!